Category: Office & Business. Tag: Aiseesoft. 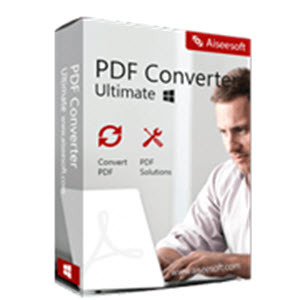 Aiseesoft PDF Converter Ultimate is the best PDF tool to convert PDF to Word/Text/Excel/PowerPoint/ePub/HTML/JPG/TIFF/PNG/GIF, with award-winning OCR technology and superior recognition accuracy. Aiseesoft PDF Converter Ultimate is a surprisingly powerful tool that improves your work efficiency. It lets you quickly change PDF files to text format for further editing in WordPad and accurately back up your PDF files to editable Text, Microsoft Office 2007/2010/2013 Word (.docx)/Excel (.xlsx)/PowerPoint (.pptx), ePub, HTML. Besides, it can also convert PDF files to images with output formats, including TIFF, JPEG, PNG, GIF, BMP, TGA, PPM and JPEG2000, which allows you to adjust the image size and color before converting PDFs. With OCR technology, the software recognizes over 190 languages like English, French, or Chinese, artificial languages and programming languages, simple chemical formulas and more. So it is strong enough to extract text from image based PDF files as editing text with keeping its original format and graph lossless. This all-in-one PDF Converter enables you to import multiple PDF files and convert all of these PDF files to different output formats at one time, or convert a section of a PDF file to remarkably improve your work efficiency. Besides, this advanced software provides preview window for users to select the target section before conversion. To get customized output files and improve the output effect, there are numerous, flexible output settings for you to choose from. For document formatting, you can set the layout, text encoding, and image format/resolution. For image formatting, you are able to set the output image size, color. 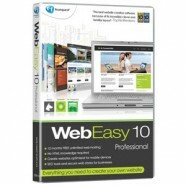 – With advanced OCR technology, it converts PDF files and extract texts at top speed. – Preview the PDF file page by page through the preview window and open the source PDF file. – With intuitive and user-friendly interface, this Total PDF converter makes it very easy to convert PDF documents with high efficiency.